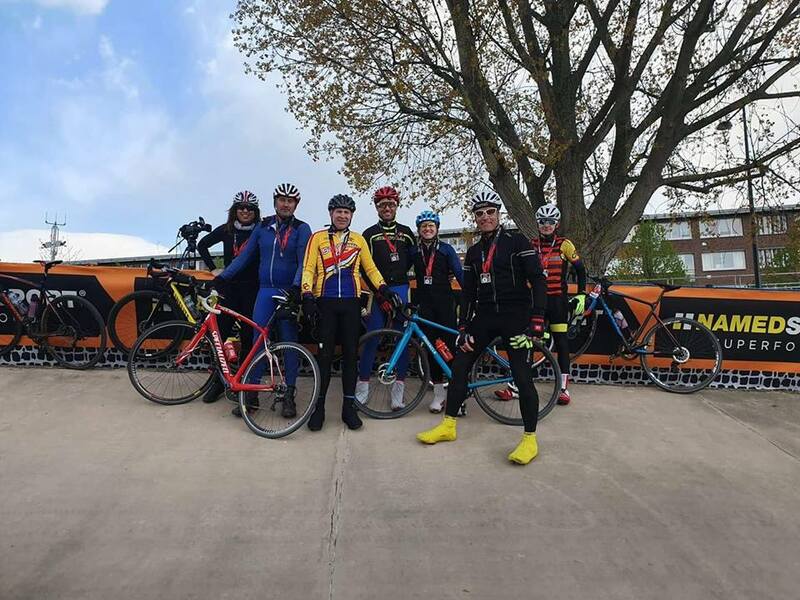 On the 13th of April, 7 members of SCC rode the Paris Roubaix challenge. 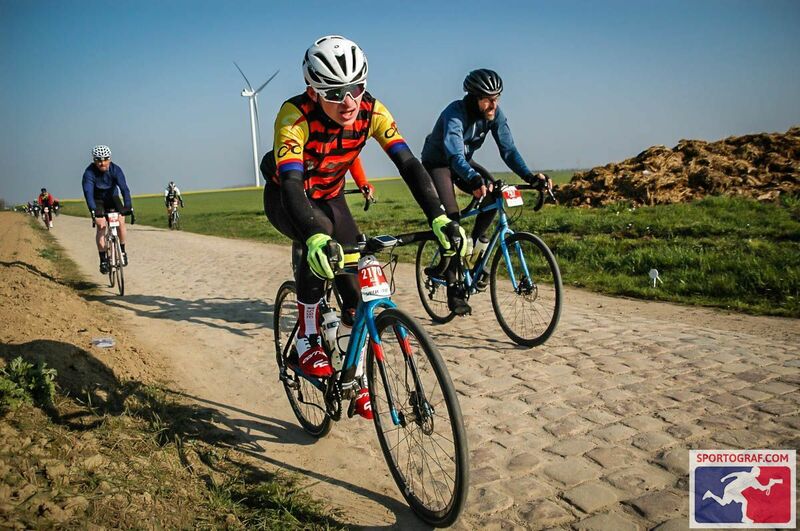 The course covered all 54.5km sectors of cobblestones over a 173km route. The day started early, as the riders needed to catch a coach to the start, in Busigny, at 5am. The journey took one and a half hours and led to few needed naps. Not only did the riders fight tiredness, but they had to fight the cold. When they cross the start line at 8:30am was one degree. It wasn’t long before the first section of pave was tackled. The 2* sector at 12km in was a very rude awakening! The next sector soon followed as the riders got into the rhythm and technique required for the course. Before long, the riders came to first feed station at approximately 40km in. Already battered, it provided much needed nourishment and rest. After this, the riders bravely tackled the brutal course with grit and determination. Even the infamous Trouée d’Arenberg didn’t stop the 7 SCC riders, despite the fact it brought a tear to their eyes! From there on, every other cobblestone seemed kinder! By the time the third feed station was reached, the riders were in another world of aching. The Cobblestones are like nothing found on English roads. Every gutter gave relief and the feeling of re-joining smooth tarmac was incomparable. 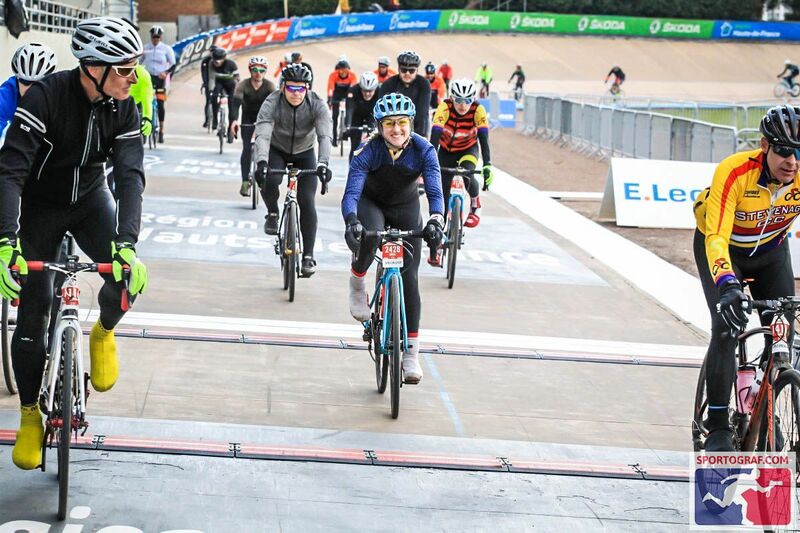 After a few energy bars and bidons of sport mix, they hit the last sectors hard and eventually reached the famous Roubaix velodrome in just over 7 hours moving time. The riders were empty, but proud, with all 7 riders finishing together. The next day the SCC members enjoyed watching the pros suffer on the exact same course as them and relished being able to sit on something other than their bikes and not have their entire upper bodies shaken!